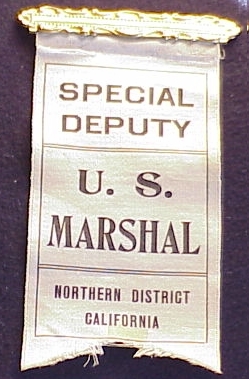 Steel, Blue background, White letters License Plate or window Placard, Used in 1940's, 1950's, 1960's. 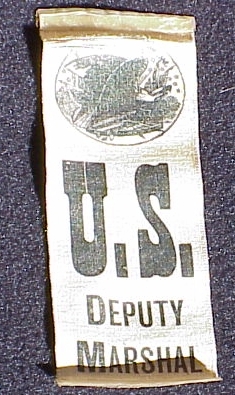 Do not know what District it was used in. 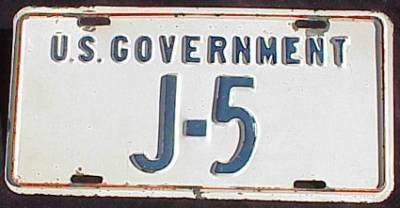 This Plate was used in The Northern District of Illinois, Chicago, IL. 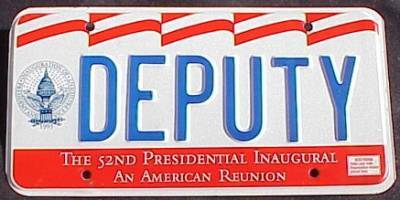 This License Plate was issued for the 1992 Presidential Inaugural. 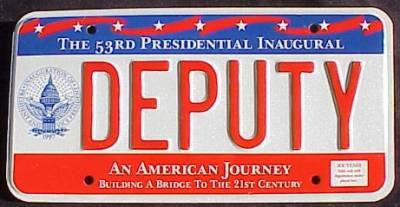 There is only one set. 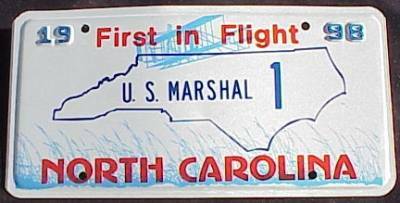 This License Plate was issued for the 1996 Presidential Inaugural. There is only one set. 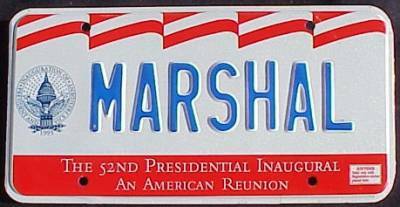 Did not issue a Marshal Plate that year.